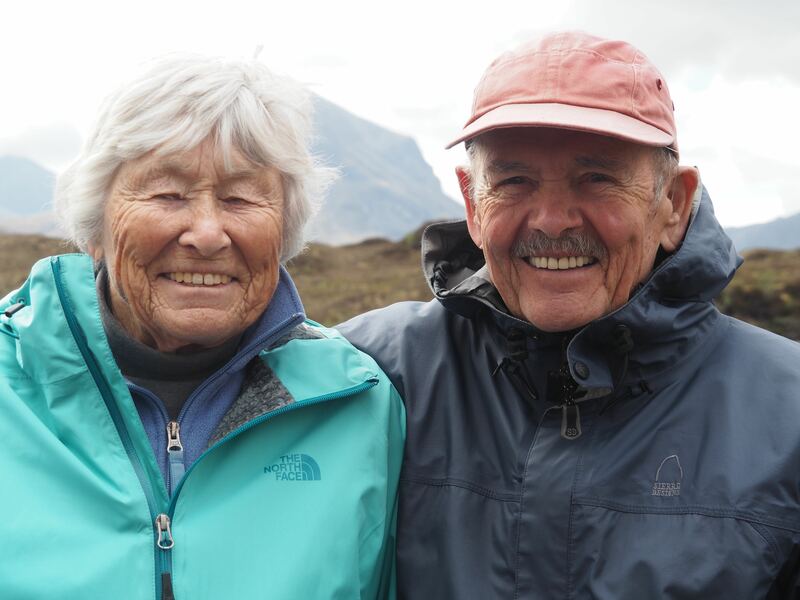 Our good friend and Geologists of Jackson Hole member, Marion (Bud) Elliott, 87, peacefully passed away at home in Tetonia, ID on September 22, 2018. Bud was born in Cleveland, Ohio in 1931 and the family soon moved to Schenectady, NY. In 1953 Bud graduated from Virginia Tech with a degree in Mechanical Engineering. He spent two years in the U.S. Air Force and on returning to Schenectady was employed by General Electric for 40 years, retiring as a Senior Project Engineer in 1990. 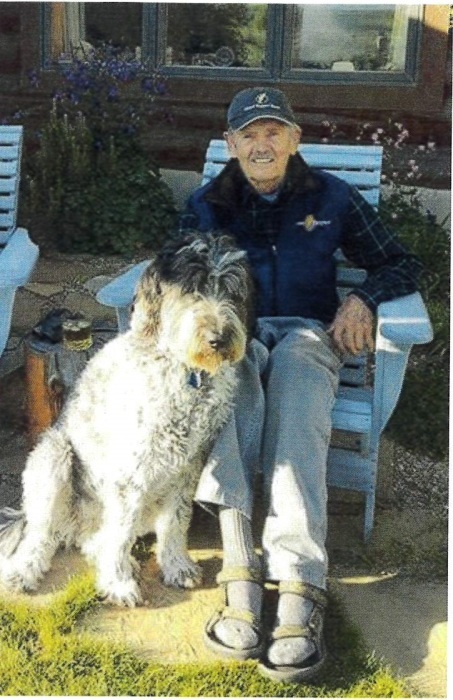 He and his wife, Betty moved to Tetonia, ID in 1991 where they had built a home. Betty is planning on remaining in the area. 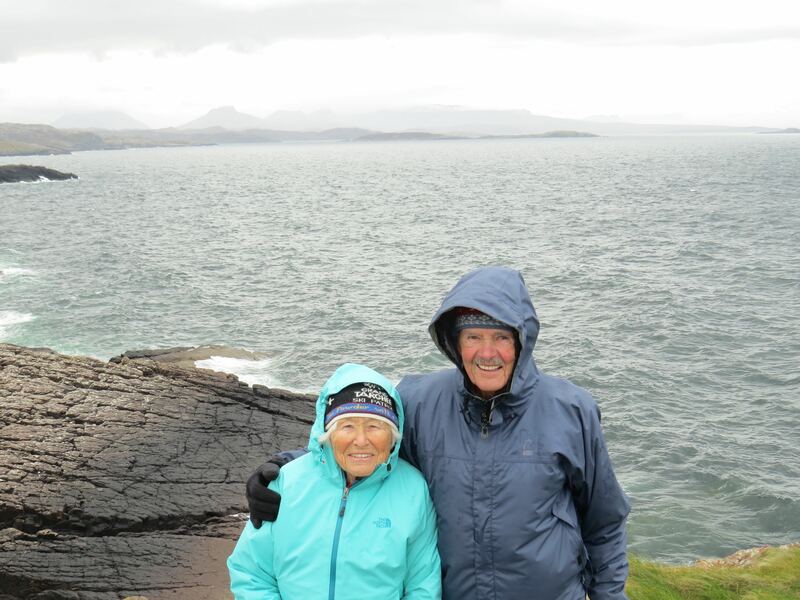 At 87 Bud was game for almost anything and he and Betty were some of the more active members of our 2015 GOJH field trip to Scotland. I will always remember them resolutely climbing up in the face of the strong wind and rain at Knockan Crag and Ben Arnabol. He also was actively skiing at Targhee until recently where he and Betty were former ski patrollers. However, I will remember him most for his smile, his extremely positive attitude, and curiosity and enthusiasm for life in all its measures. He will be missed.